If you haven't read my other posts about my summer trip to Paris, you can read about our itinerary, the post I didn't want to write, and part one of my adventures in Paris! Day 6: Our 6th day in Paris, and The Pilot's last day, was filled with awesome new-to-me experiences! We started our morning doing a self-guided tour of the Opera House. I only recently learned that this was an option, after always assuming that the only way to see the Opera House was to see a performance. Of course, I had to see the famed Opera House that inspired The Phantom of the Opera, and it didn't disappoint. Though, after spending the morning roaming the Opera House, I know that on my next trip to Paris, I'll absolutely go for a performance! The views from the balcony offered a wonderful glimpse into morning rush hour in Paris. We left the Opera House and made our way to the famed Shakespeare and Company bookstore. While this is, arguably, the most famous English-language bookstore in the world, it wasn't until a few days before we left when The Pilot and I watched "Midnight in Paris" (which I highly recommend) for the first time, that I learned of the bookstore. My family had to practically pry me out of the store and I came home with a few too many books! We spent the rest of the afternoon strolling along the Seine on our way to an unbelievable dinner at Verjus. After dinner, we finally made our way to the Eiffel Tower at night. When my mom had first been to Paris, the tower wasn't lit at night, and, while we had seen it from afar a few times, we still hadn't made our way to see the Tower lit up at night. Day 7: The next day, I went for a morning run in the Luxembourg Gardens while my mom and aunt wandered the gardens. 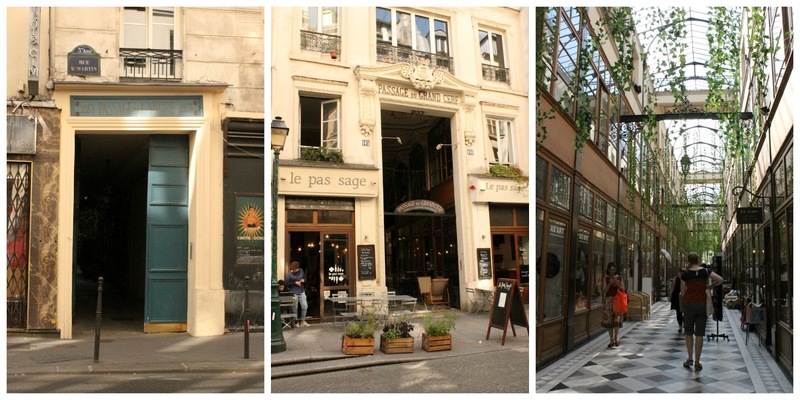 We took the rest of the day pretty easy, did some shopping, and went for a long stroll in the Marais, stumbling on some adorable hidden passages with little shops. Day 8: On our last day in Paris, we took the metro up to Parc de Buttes Chaumont. This park was massive and I loved exploring it! I wish I had found it earlier, as it would have been a great place to run in, although, it's very hilly! 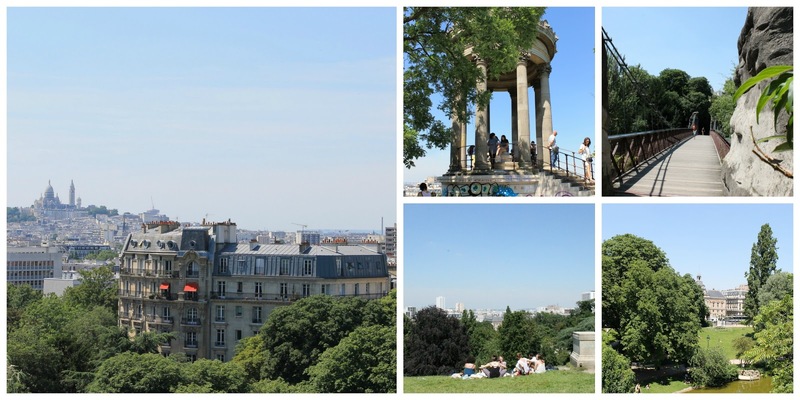 We wandered the park, had lunch in one of the park's restaurants and took in the stunning views of Montmartre. 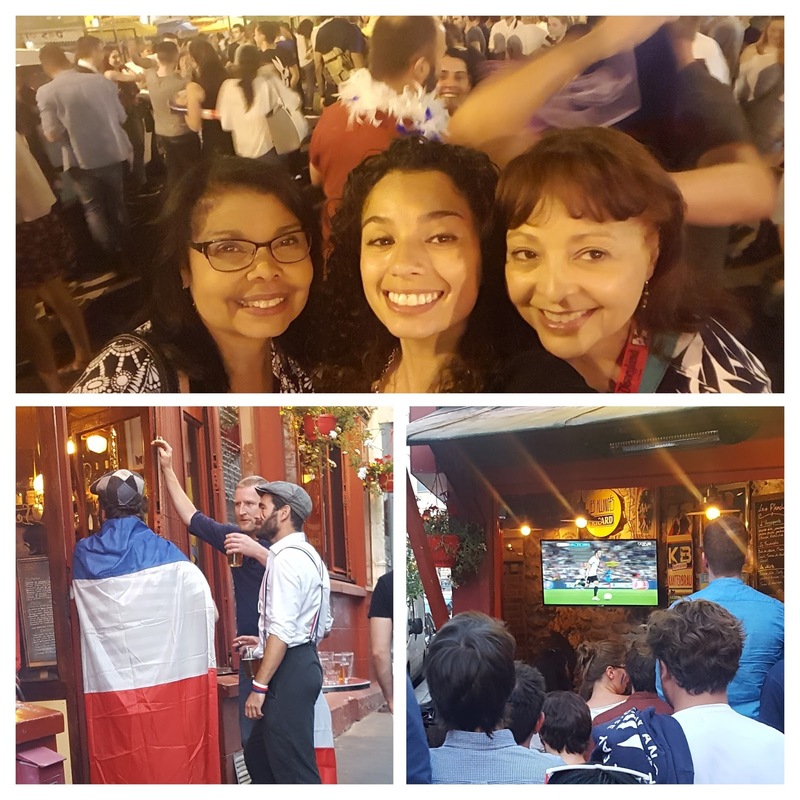 While we were exploring, my aunt found out that her nephew had gotten to Paris that morning, so we met up with him and his wife in the Latin Quarter for dinner and drinks before heading to a bar to watch France win the Euro Cup semi-final. It was ridiculously fun and such an awesome way to end our trip to Paris. We got up early the next morning, headed to the airport, and made our way home. Another successful Paris trip in the books! Does this post make you want to hop on a plane to Paris? It definitely makes me want to go back! 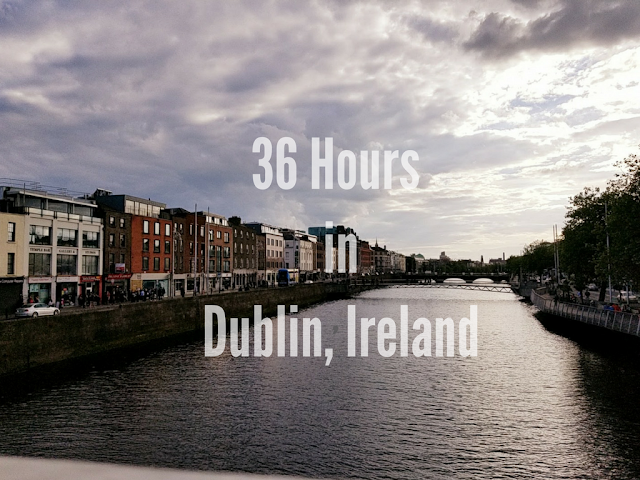 I'm sorry it took so long for me to recap my trip! It's been a busy summer, but I hope you enjoyed reliving my trip with me!